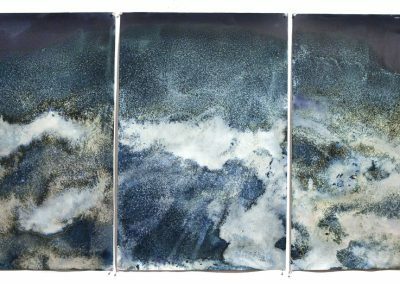 This work stems from my fascination with the nature of our relationships to the landscape, the sublime, time, and impermanence. 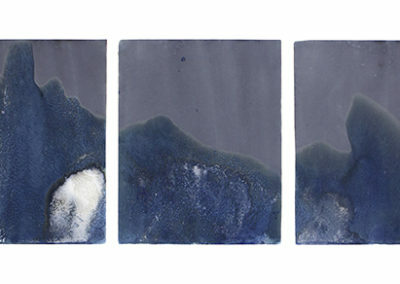 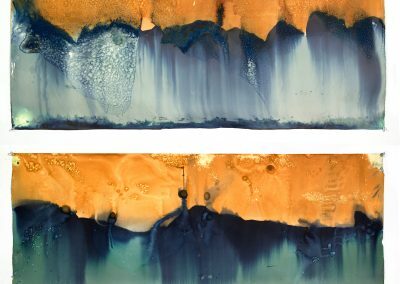 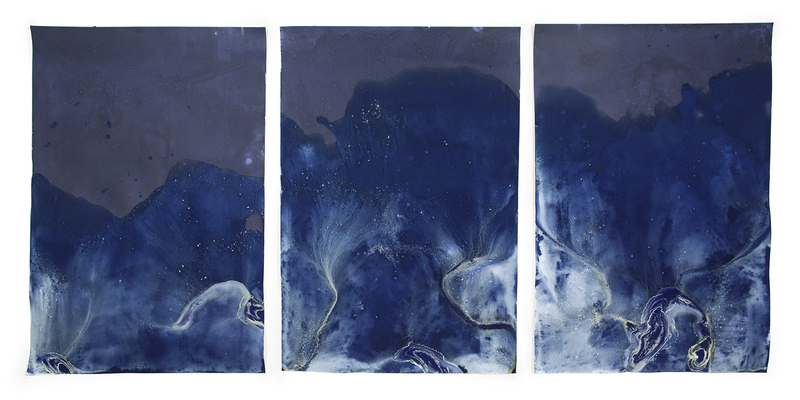 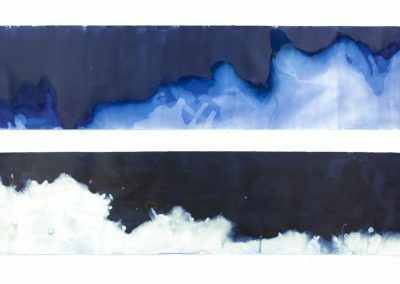 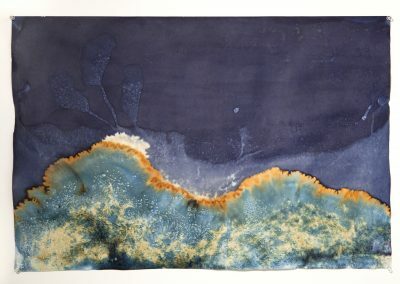 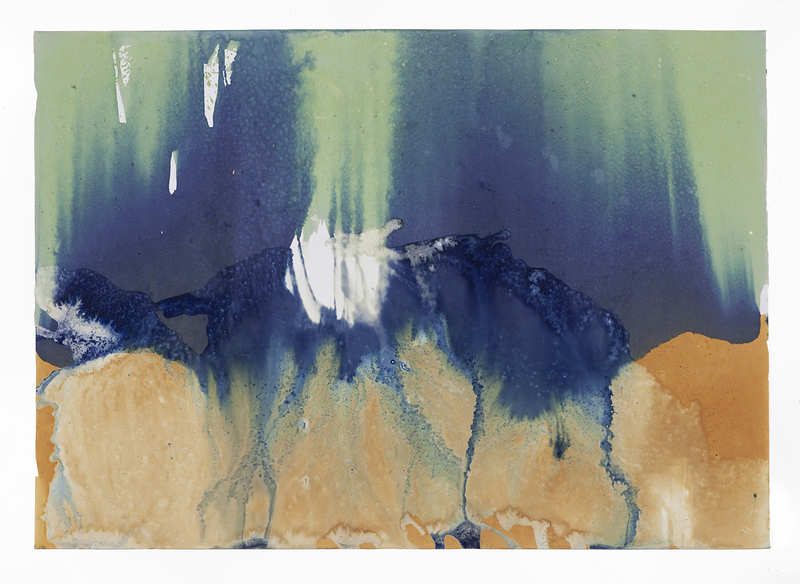 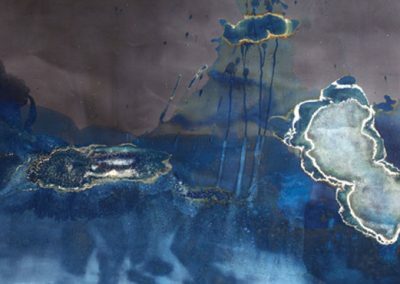 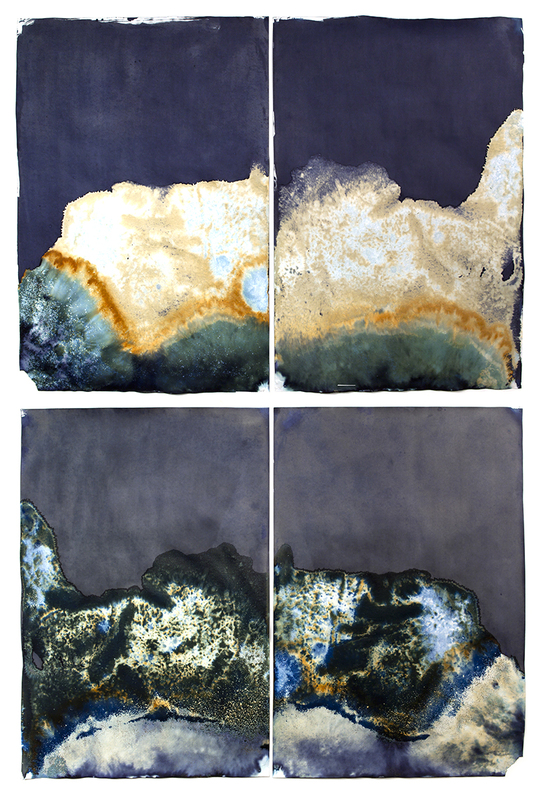 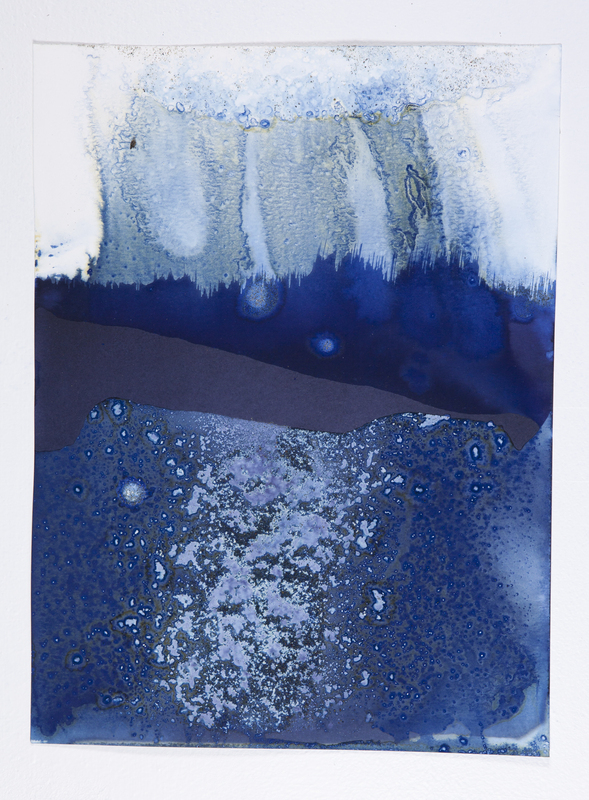 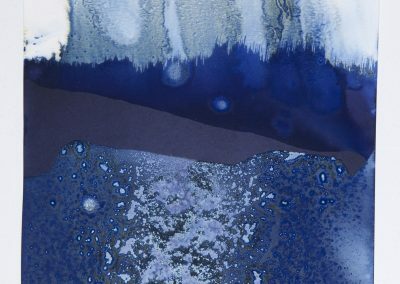 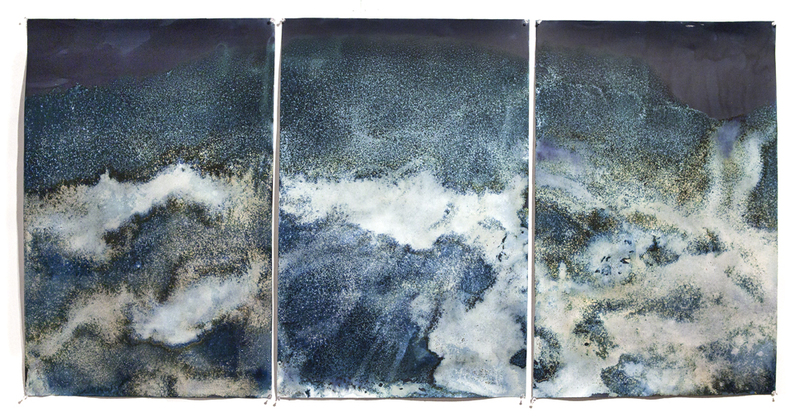 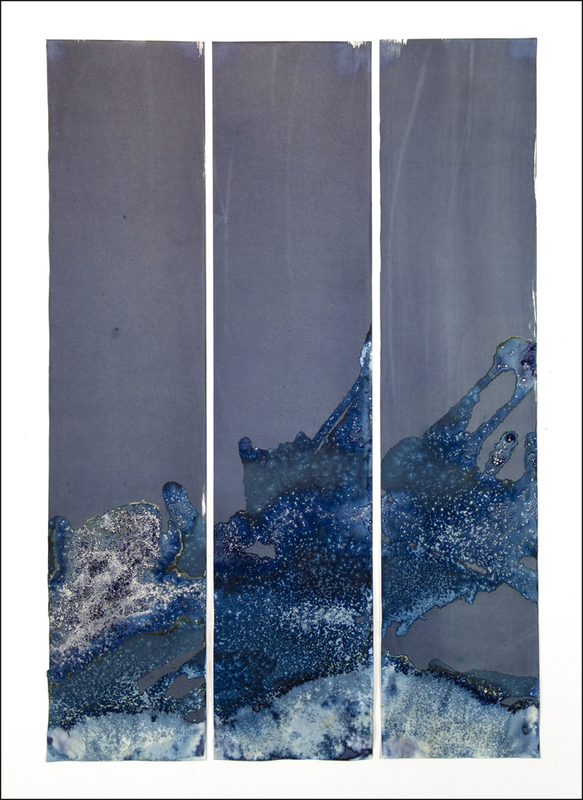 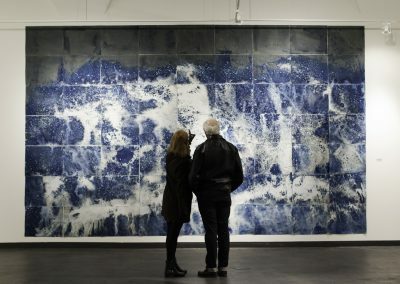 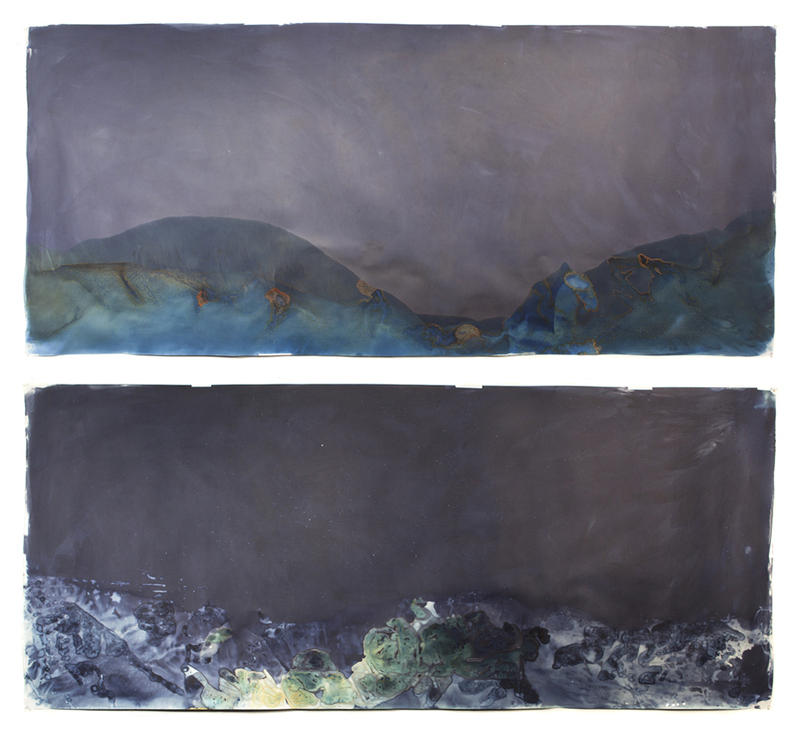 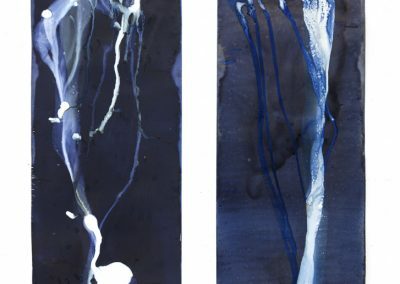 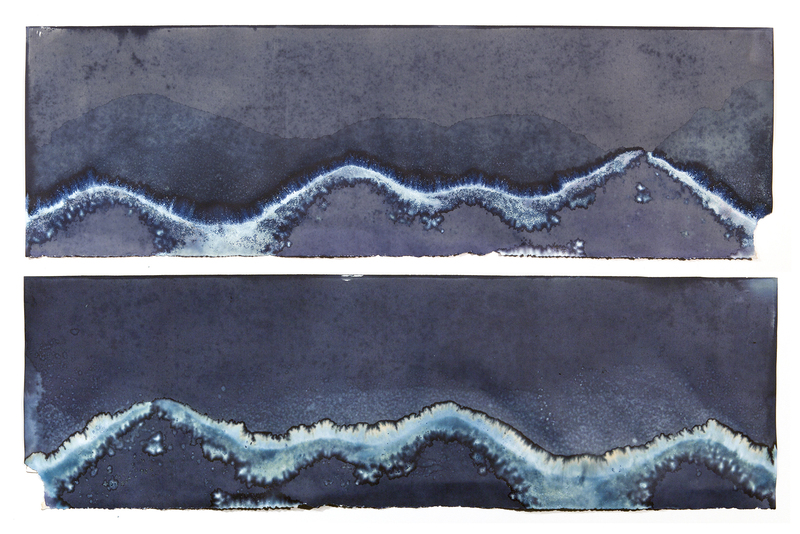 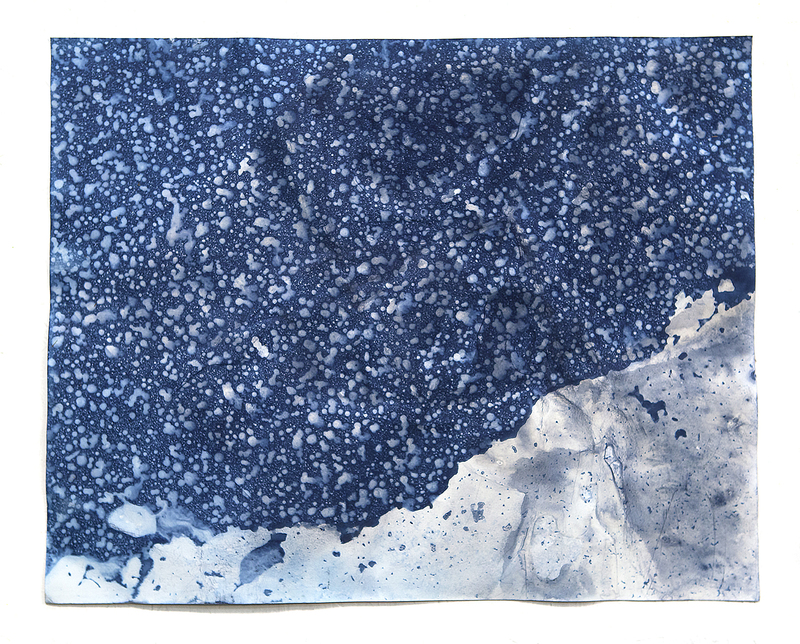 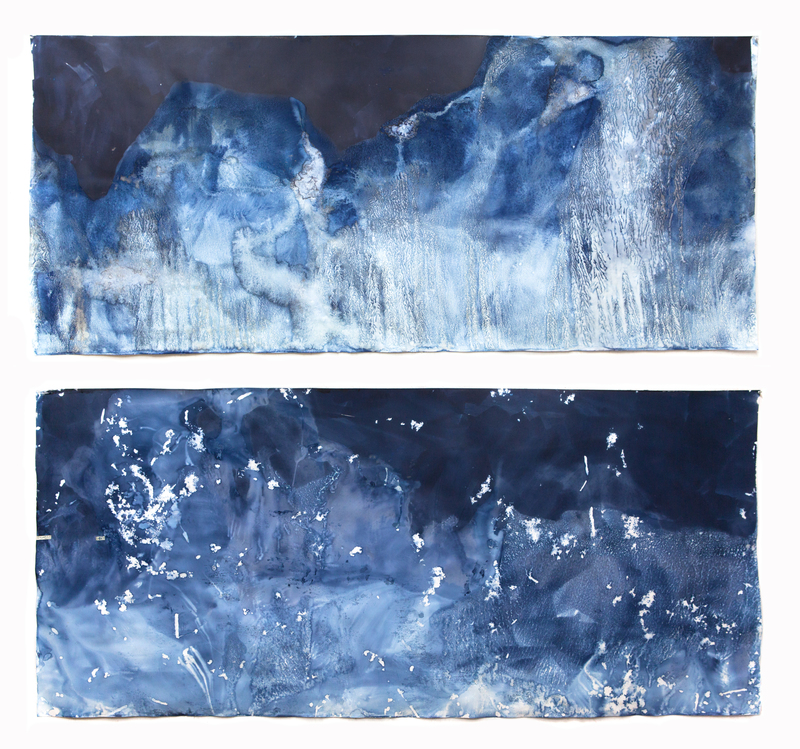 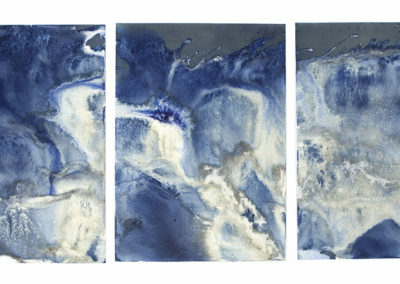 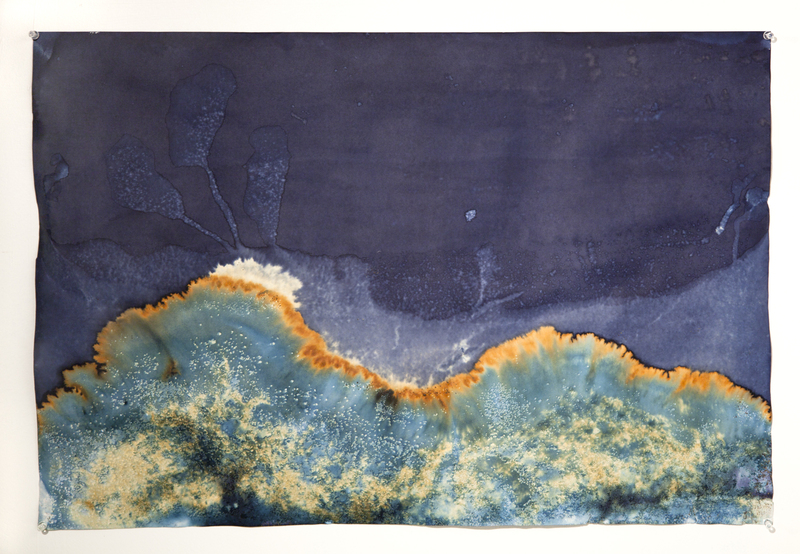 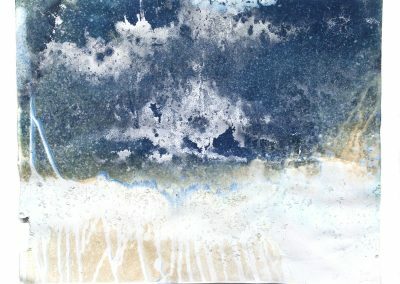 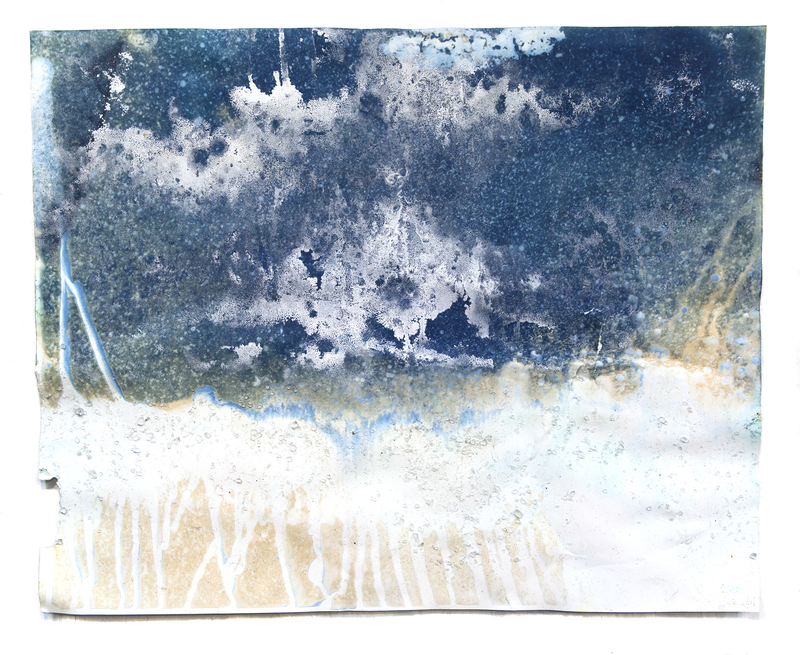 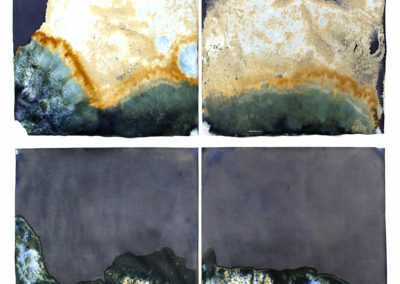 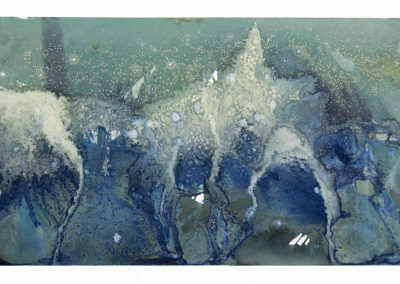 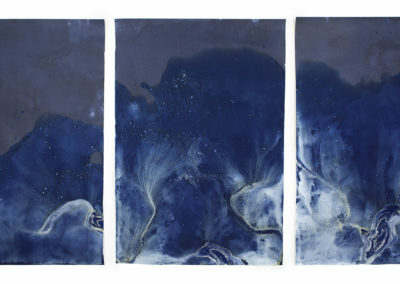 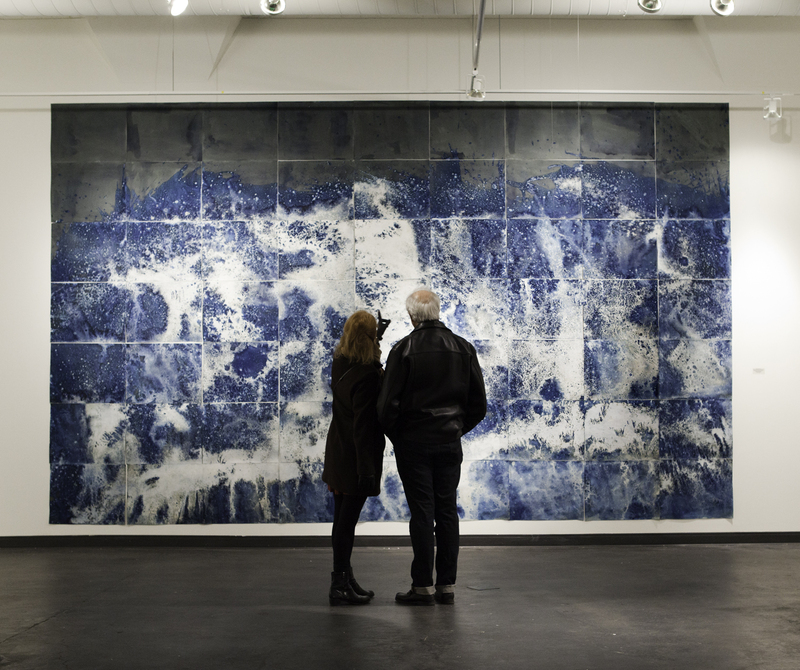 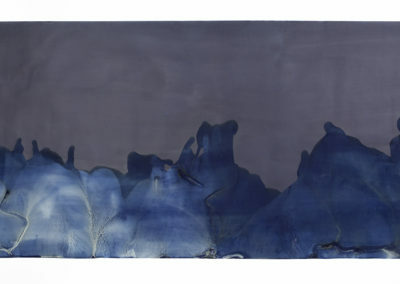 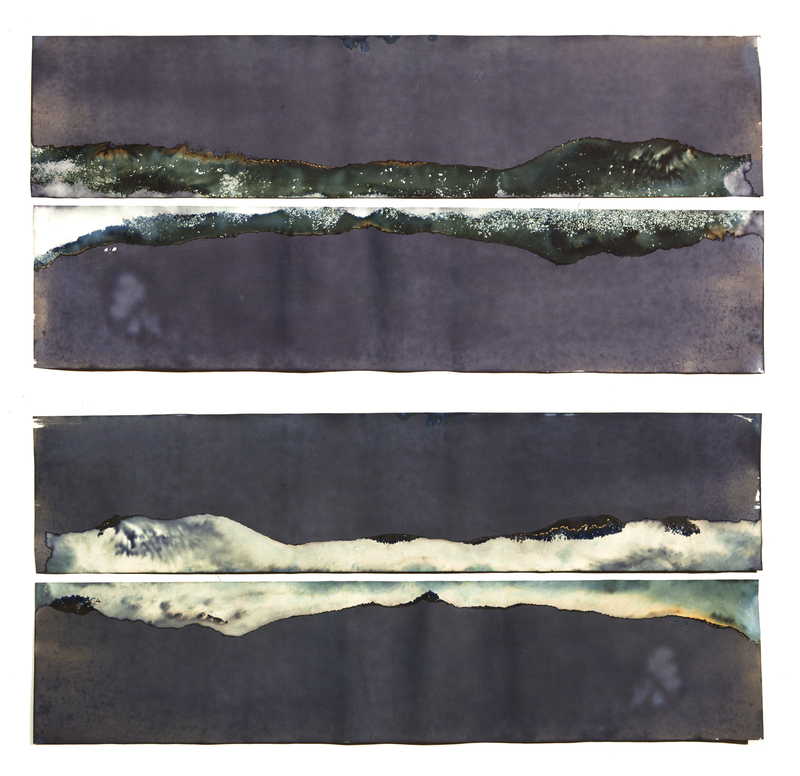 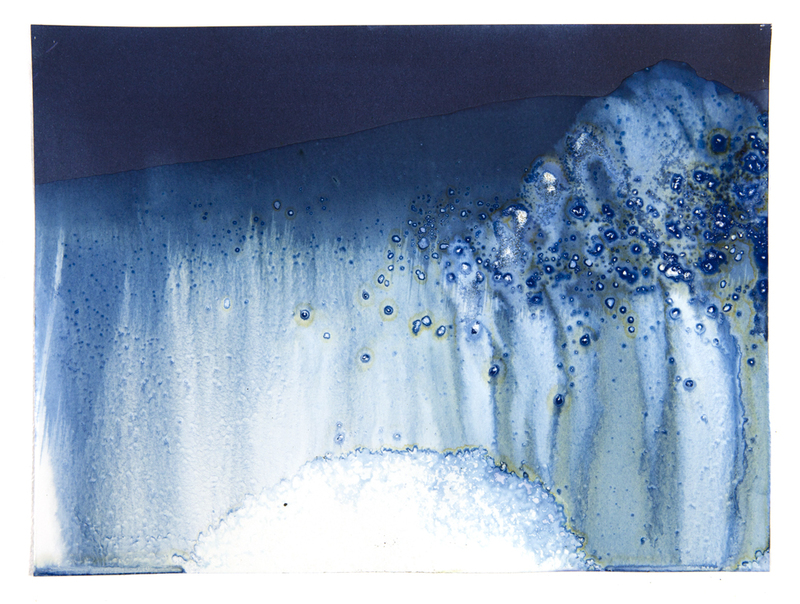 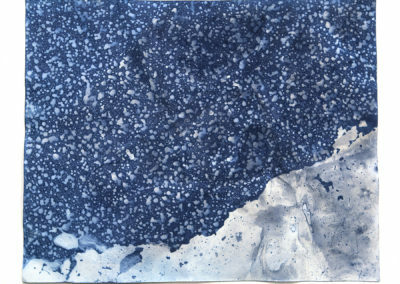 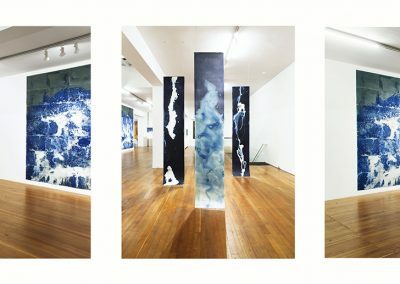 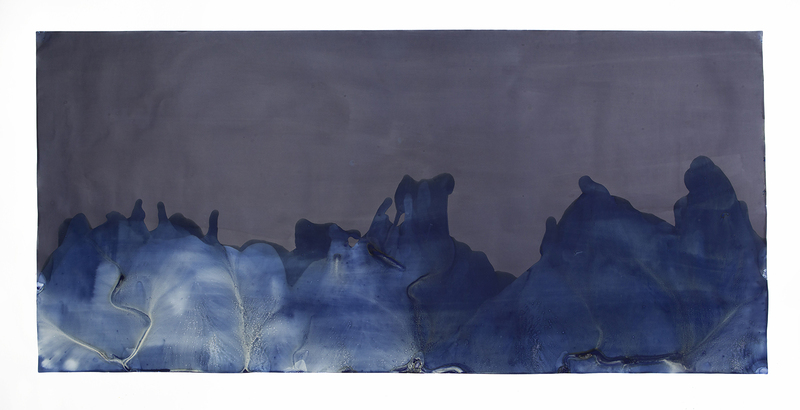 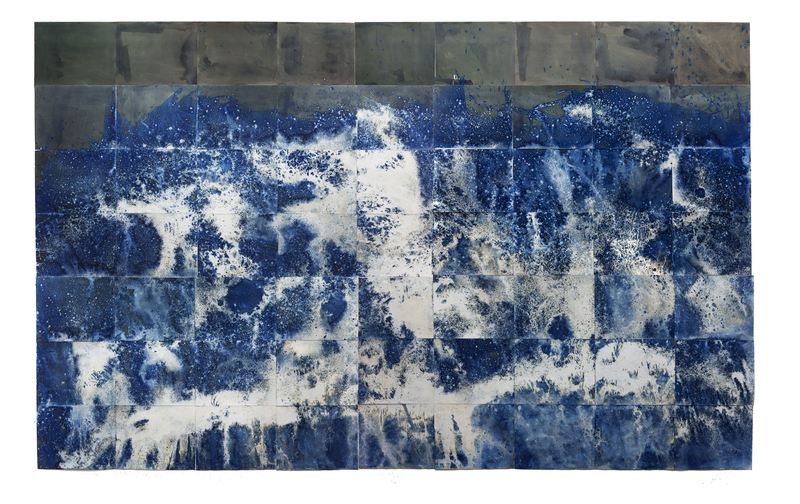 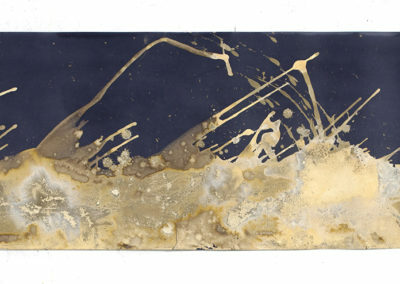 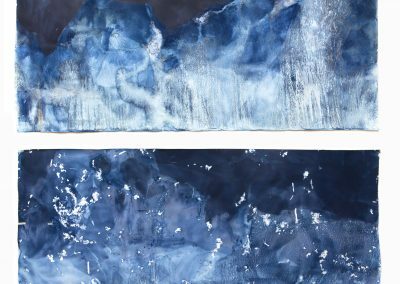 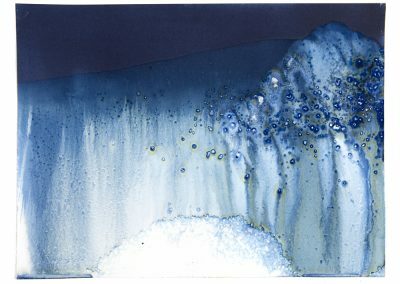 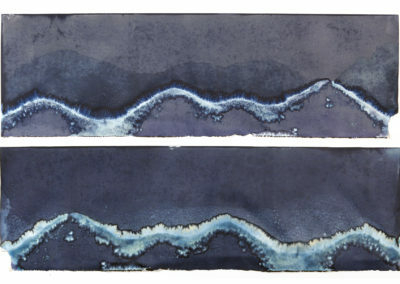 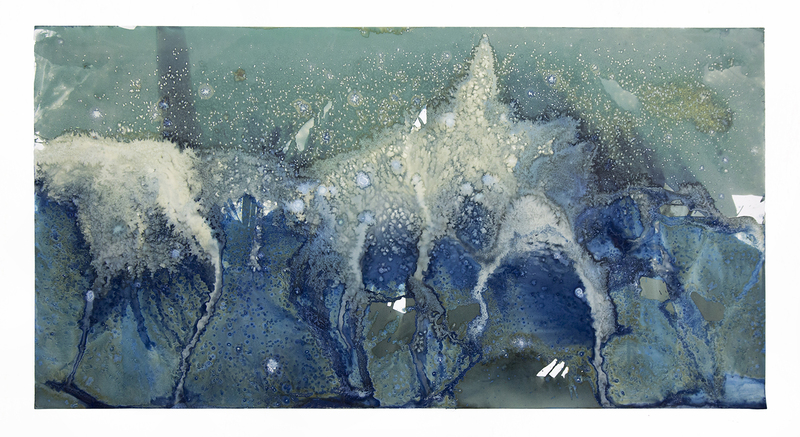 Entitled Littoral Drift, a geologic term describing the action of wind-driven waves transporting sand and gravel, the series consists of camera-less cyanotypes made in collaboration with the landscape and the ocean, at the edges of both. 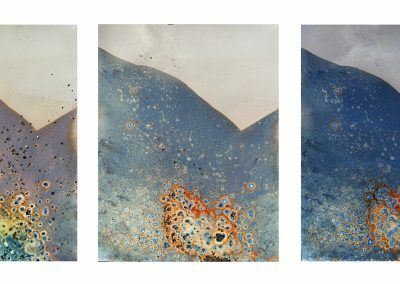 The elements that I employ in the process—waves, rain, wind, and sediment—leave physical inscriptions through direct contact with photographic materials. 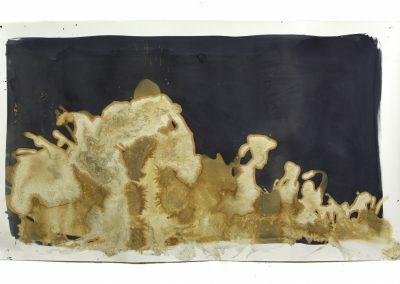 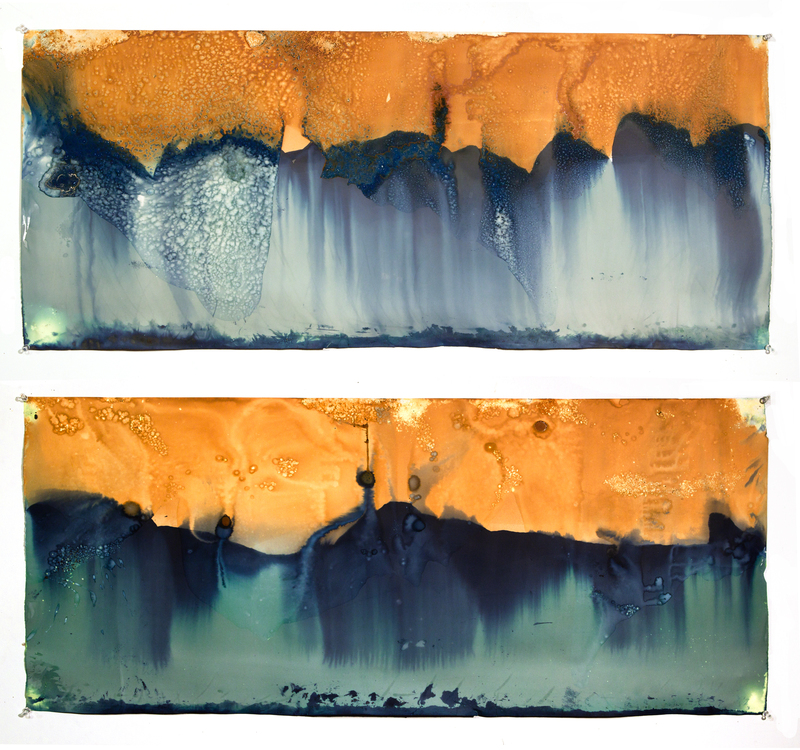 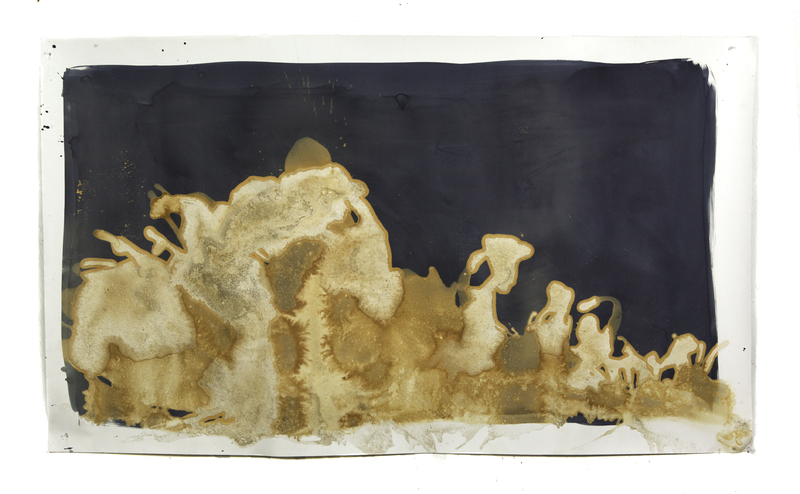 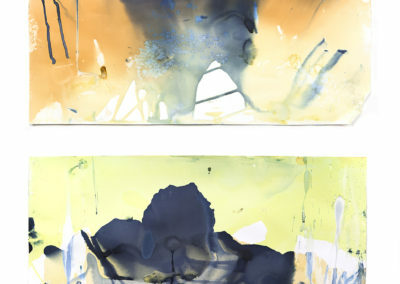 Photochemically, the pieces are never wholly processed; they will continue to change over time in response to environments that they encounter, blurring the line between creation and destruction. 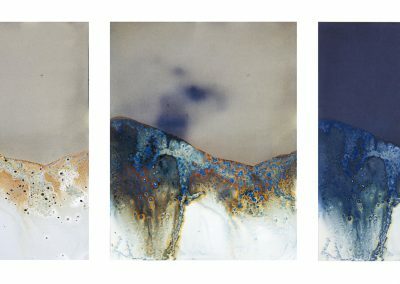 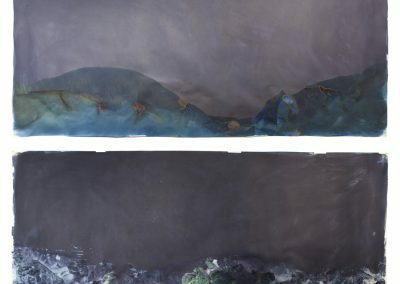 As part of the larger project, I selectively re-photograph moments in the evolution of the images, to generate a series of static records of a transitory process. 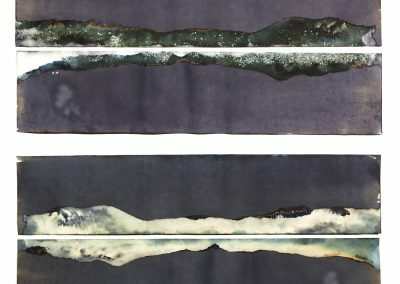 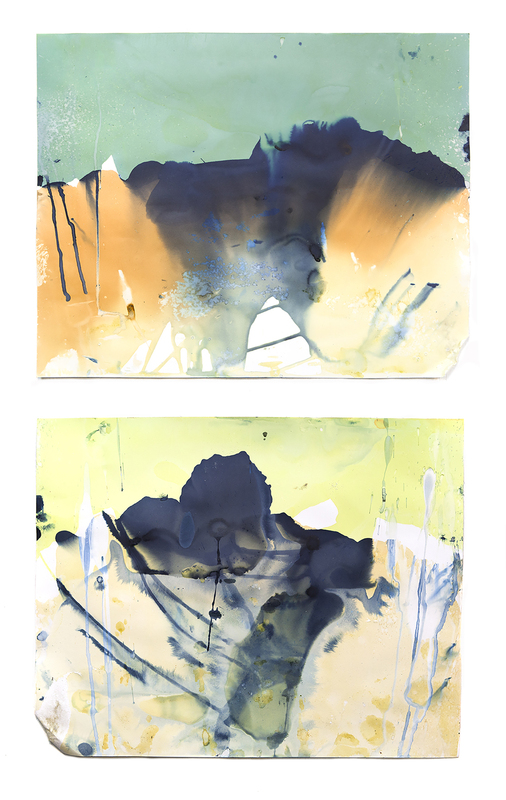 Entitled Continua, the progressive images are shown as polyptychs. 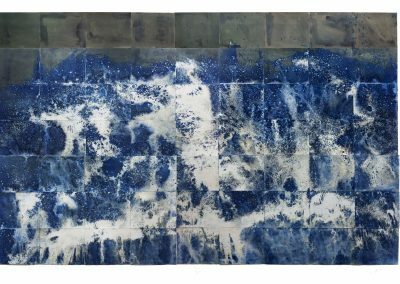 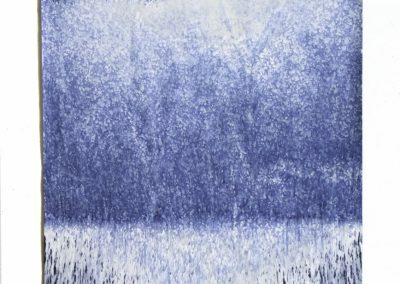 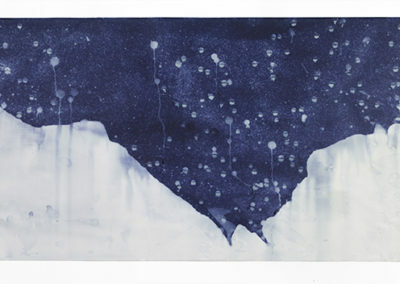 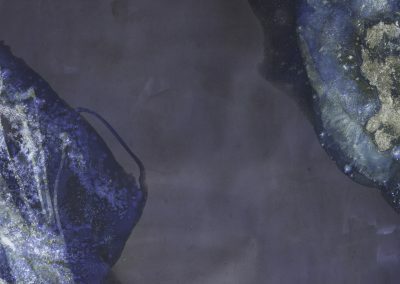 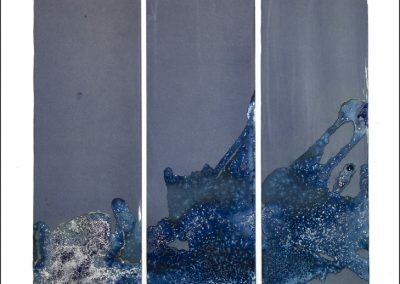 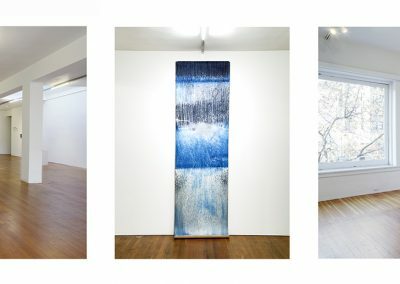 Perhaps where the fugitive cyanotypes are analogies for a terrifyingly fleeting and beautiful existence, the process of re-photographing them is a metaphor for the incorporation and mediation of photography in the contemporary human experience.